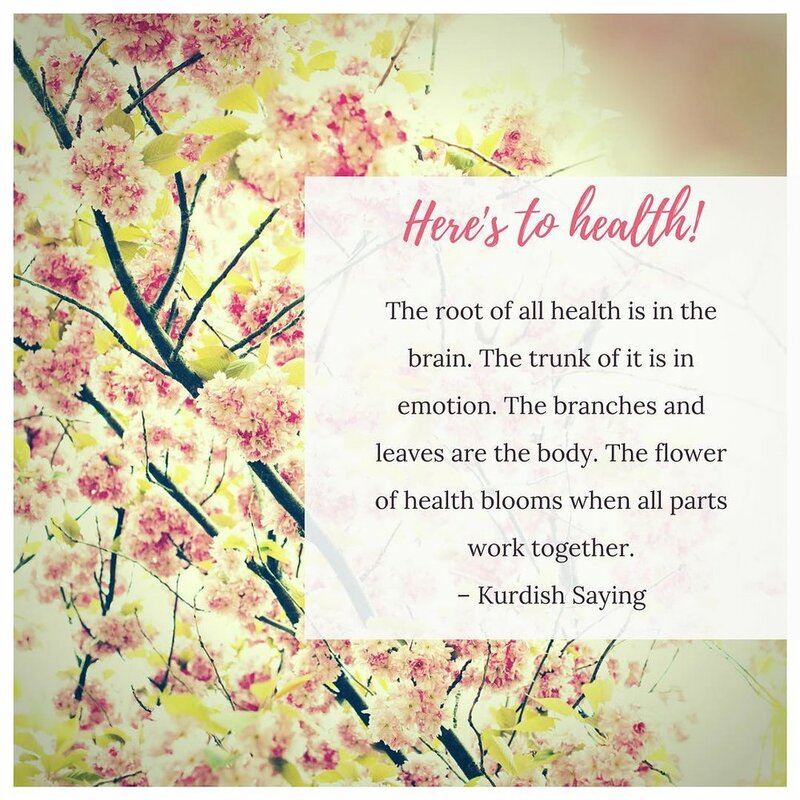 I recently came across a Kurdish saying - The root of all health is in the brain, the trunk of it is in emotion, the branches and leaves are the body. The flower of health blooms when all parts work together. When I became certified as a Primal Health Coach and thought about what my own story was I quickly realized my coaching would not only include nutrition, fitness, and lifestyle, but also the emotion of it. I realized so much of my well-being came from the work of learning to love myself through the process. Thus I became the Wholehearted Health Coach. When we want to change our way of eating and get healthy, the awareness of the foods we are eating naturally leads to the question of why are we eating them? What is my true hunger? When I came across the above quote I thought it captured beautifully what happens when we not only address our body and how we are nourishing it, but also deal with mindset and the emotions. When this kind of health blooms, I would call it well-being. We have the agency to not shrink back, not puff up, but stand our sacred ground. We have boundaries so that we can take care of ourselves. We are brave enough to face the painful emotions so that we don't numb with food. "Getting healthy" is brave work. You not only have to feel like you are worth it, but then stand up for yourself in social situations and say, "No, thank you." We are worthy of love and belonging (roots), we can face the emotions and not numb (trunk), and give ourselves the nourishing food and activity we need (branches and leaves) to watch the flower of health bloom. If you need help in getting these three things to work together, contact me for a Discovery Call. We're in this together! Newer PostIs Canola Oil Really That Bad? Older PostHave You Heard of Forest Bathing?